But the good thing is that Matthew Sweeney is a really cool guy, he was not disappointed and he wanted to correct things because he has two partners on the beautiful yoga place they share in Ubud, in paradise Bali, and so he told me. And I left it on the podcast together with my “other” mistake because I think it is good that you hear the spontaneity of how it all went. I was in Mysore, it was 2008, and one night, during one of those frequent electricity cuts, my friend Martina and I started looking at his book “Ashtanga Yoga As It Is”. What I love about Matthew is that he works very hard at the practice, at teaching it and at keeping it real. He has “beef” with the usual teacher trainings when they are impersonal and the teacher does not get to know the students (think those courses that teach more than a hundred at the time). People leave the practice when it is too rigid, when it won’t adjust to the issues and the lifestyles and DNA of each individual person. He is also adamant about getting to know personally the people who will go in the world and teach what he teaches. His teacher trainings have many levels, but they are not there to annoy anyone, but rather to build a solid relationship, to do it right. Claudia Altucher: Hello and welcome to the Yoga Podcast. I am thrilled today to have Matthew Sweeney with me. 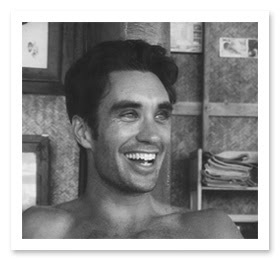 Matthew is the director of the Yoga Shala Bali in Ubud. He is a yoga teacher, a Star Wars fan, and a twice black belt in martial arts. Matthew has explored and practiced four, or even five I think, of the Ashtanga Yoga series of Sri Jois, who is the founder of Ashtanga Yoga, as well as the teachings of Krishnamacharya, Desikachar, BKS Iyengar, among many other teachers and trains of thoughts. Matthew Sweeney: I’m sorry. We might need to interrupt that because I think a couple of things are incorrect there. I might need to revisit. Claudia Altucher: Oh, please, please correct. Tell me. 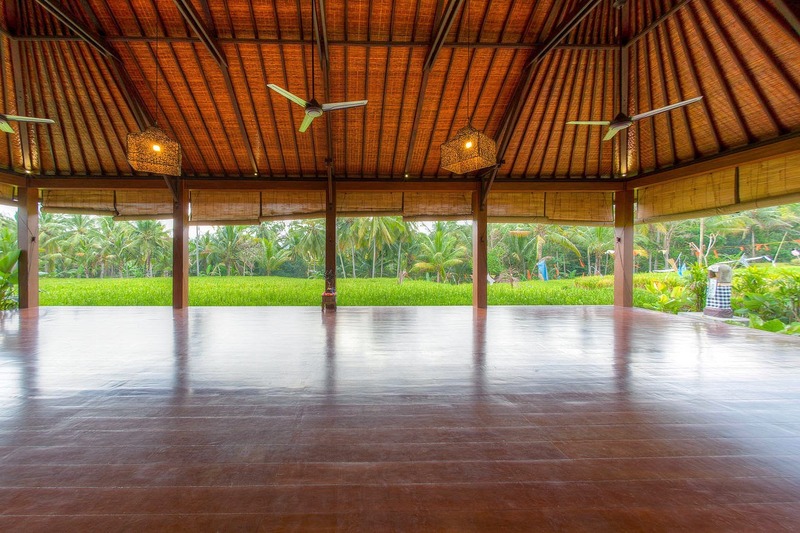 Matthew Sweeney: Okay, just the start because I’m not the director of the Shala Bali here. There are three shareholders, so if the other shareholders heard that they would probably be a bit upset with me. So maybe we restart that one. And the other one is – I remember this, I’ve just got to think about it – the year that I started. I started teaching in 1992. Claudia Altucher: In 1992. Would you mind if we leave this like this because I think it’s spontaneous and it’s good and then your partners hear how loyal you are, which is a great thing. I’m sorry about this, that I didn’t have it right. Matthew Sweeney: No, no. It’s not a problem, it’s just I don’t want to get in trouble. Claudia Altucher: Of course. I understand. And it’s good to know you started in 1992, then. I had that – I didn’t get that right so I’m glad you told me. But I do know, and this perhaps you also have some DVD’s that can be downloaded with two sequences, Vinyasa Unlocked and the Moon Sequence. Is that right? Matthew Sweeney: Yes, that’s correct. Claudia Altucher: Yes, and many posters of sequences that are quite impressive. Claudia Altucher: So I didn’t quite get the bio right, but Matthew is here to help which is a great thing. So Matthew, welcome to the show. Thank you for coming in. Matthew Sweeney: No, thanks for having me. Claudia Altucher: So it’s 6:00 p.m. there in Bali? Matthew Sweeney: Yes, that’s right. Claudia Altucher: What did you do today? Matthew Sweeney: Oh, today we rode around looking for furniture and bits of – tables and chairs for a little Indian Dosa restaurant that we’re starting to create. Matthew Sweeney: A little Indian restaurant called Dosa Corner. Claudia Altucher: Very nice. I love Dosa’s. Matthew Sweeney: Yes, I know. So do I. I love South Indian food, so yeah we thought we’d – there’s not good South Indian so much here in Bali so we thought we’d make a good little sort of, yeah, chi shop and Tiffin. Claudia Altucher: That looks really, really nice. Matthew Sweeney: Yeah, it’s lovely. Claudia Altucher: And let me ask you, so what’s the weather like there? Matthew Sweeney: Ah, well hot and – hot and humid pretty much all year around, though at the moment it’s nice because it’s raining almost every afternoon so it cools off. Claudia Altucher: That’s good. When was the last time you saw the snow? Matthew Sweeney: [Laughs] That’s an odd question. Oh, a long time ago. I think the last time I really saw snow was probably in Germany in 1993 or ’94. Matthew Sweeney: I mean I have to say, I’ve actually been talking to my partner, Lauren, about this. She really wants to have a white Christmas somewhere so we’ll probably go and do the snow in one or two – well, not this Christmas but maybe the Christmas after that. Matthew Sweeney: And warm weather. Claudia Altucher: Yeah, me too. Matthew Sweeney: I like the snow. I like the snow for one week of the year, but that’s all. Claudia Altucher: We’re exactly the same. We have a nor’easter coming in here in New York, so it’s going to start snowing any time, so it’s a lot of fun. And I have some good news for you. You’re a big Star Wars fan and I understand this weekend the first trailer or the new movie is coming out. Matthew Sweeney: Oh, yeah. I heard some rumors of this, so yeah, I’m very curious. I loved the first three movies and the following three, they were okay. They just scratched the Star Wars funny bone. So yeah, we’ll see what the next are load are like. Claudia Altucher: That’s how you started into yoga, right, martial arts and Star Wars? What was it about martial arts that got you thinking along these lines? Claudia Altucher: A Jedi master. Matthew Sweeney: Well, sort of; just wanting to be skillful and, I don’t know, wise at the same time. Eventually the whole self defense thing fell to the side and became less important. I don’t know if I’m wise, but certainly the interest is still there. Claudia Altucher: I would say you are a wise man. Matthew Sweeney: That’s nice of you to say. Claudia Altucher: Everything that comes across is really very – your point if view, your way of looking at yoga, is very, very interesting. I like how you keep it very down to earth, very real. Matthew Sweeney: Oh, okay. Well thank you. Matthew Sweeney: Yeah, well I went up there at a particular time of the day when he’s often just, whatever, having out in the lounge room. And so my rickshaw stopped and he just came out the front door and said hello and spoke ____ to the rickshaw driver and spoke to me and whatever. I just had a very – he liked me, I liked him. We had a very good connection. He said, “Do you have a place to say?” I said no, Guru, I just arrived off the plane. He said, “Oh, okay.” And then he told ____, the rickshaw driver, where to go where all the other students were staying, so he found me my first hotel. Matthew Sweeney: Yeah, yeah. The first time I was there, there were on that first day I think 16, 17 students. Matthew Sweeney: But I was there in, I think it was in September, which is not a very high-season time. And then by – I think by November, no by December – I stayed there six months, so by December and January there were a lot more people. But then it was 50 people and it was crowded. Claudia Altucher: Wow. That’s amazing. Matthew Sweeney: Now it’s like 300. Claudia Altucher: Yes, it’s very, very crowded. So you stayed there for three years. You went for six months at the time. You really dedicated yourself to Pattabhi Jois and the Ashtanga portion – the poses – of the practice. Matthew Sweeney: Yes. So me and my credit card did well. Claudia Altucher: [Laughs] Did you get in debt? Matthew Sweeney: Oh yes, very much. Matthew Sweeney: And then I would go home and pay it off and then come back and do it again. Matthew Sweeney: Yeah. Having two credit cards helps. It also made for a few sleepless nights on the last couple of months. Claudia Altucher: Yeah, yeah. It can do that. Did you also meet BKS Iyengar, Desikachar? Matthew Sweeney: Yes, I’ve met both of them. I met actually BKS Iyengar in 1992 when I just started doing Ashtanga at a big conference he did in Sydney. Matthew Sweeney: No, I just attended a conference and watched some of his advanced students do a demonstration and so on. To be honest about it, that’s what made me want to go to ___ instead. Claudia Altucher: Oh, I see. Matthew Sweeney: It wasn’t bad. It was a lovely – because I was really into Iyengar yoga, you see, so I just decided I wanted to pursue the Ashtanga thing so I went to _____ going to Pune. Claudia Altucher: And just for the sake of people listening, some of them may not be so familiar with the difference between Iyengar and Pattabhi Jois, but I guess the Ashtanga yoga is a lot more demanding physically, would you say? Like in the jump backs, jump throughs and never stops, while Iyengar is a bit more steady in each pose. Matthew Sweeney: That’s right. Ashtanga, first of all, has movement at its base whereas Iyengar is much more steady. And physically Ashtanga is much more rigorous, though Iyengar can be, once you’re allowed to do some of the advanced postures, it can take a long time before ay of the higher Iyengar teachers will let you do them. So but yeah, Iyengar is a lot more structured. Claudia Altucher: Right. Yeah, and it takes longer to – it takes a long time for us Pattabhi Jois – you would go to Ashtanga and you would start with the primary series, which has all these very difficult poses and you’re thrown into the ____ and you have to swim or sink. Matthew Sweeney: And there’s, you know, there’s advantages to that but obviously some disadvantages too, so. Matthew Sweeney: Oh, no. He’s – he passed before I had met – yeah. It would have been nice, though. I’ve had discussions with friends who were also into Krishnamacharya teachings and a few of us agree that we like the idea of doing classes with him, but if we’d met him in his younger days we might not have liked him so much because he was a pretty fierce man based on the reports. Claudia Altucher: Yeah, yeah. That’s what we hear. So Krishnamacharya was actually a teacher of both Iyengar and Pattabhi Jois and Desikachar, who was his son. You have read – you’re widely read. You also looked into therapy, ways of sort of dealing with the mind, the gestalt way of thinking? Claudia Altucher: So you’re very much into how you can integrate your whole life from any theory or way of looking at it with the mind? Matthew Sweeney: Well, yeah. It’s something – I guess I would take the approach that anything is ______, it’s just a matter of degree. And I just think whether you start with asana and then go towards a meditation or a therapeutic practice or start with one of the others and then get into, I think sooner or later if you want to look at most of the pieces of the puzzle then you’ll have to – if you’re going to be honest you’ll have to sort of look and work on each of those pieces. I don’t happen to believe that, let’s say, just doing Asana is enough to say that therefore it indicates a greater spiritual purpose. I mean the same could be said of meditation or any practice. It’s just a matter of being – let’s say being inclusive rather than being exclusive. And I just think there’s an unfortunate tendency of the human mind to be a little exclusive. And with any system that exclusivity is typically an error, so it’s just a matter of how honest – how honest can you be if you’re going to be dedicated to Ashtanga? Is that serving or is that just another addiction? Claudia Altucher: Right. What would you say is your definition of yoga today? Matthew Sweeney: Oh, that’s – my definition of yoga today. My personal definition is whatever you’re experiencing here and now. Claudia Altucher: And that’s very interesting. It’s very new, I think. Claudia Altucher: Yeah, I – but I think it’s coming more and more into the front of thinking of yoga in terms of the here and now rather than it being either a tradition or the sensation of the fluctuation comes to mind or bringing it back to what’s real here. Matthew Sweeney: Right. And so whether it’s through Asana or a breathing practice or a meditation practice or whatever you choose to focus on, the question is is that helping you to be here and now or is it a projection of I’m doing this technique to get to some other better place? And if you’re practicing a technique like this, well it’s not really yoga by definition because the technique by its nature indicates past, present and future and thus any technique, if you’re dedicated to it, is not yoga, which is a frustrating point to wrestle with because then anyone who’s doing a technique is therefore not doing yoga from that – from a certain perspective. It doesn’t mean you’re not doing yoga, it’s just how you see it. Claudia Altucher: Yeah. I recently had an opportunity to talk to Tony Robbins through another interview and he had a martial arts teacher. And one night he was practicing and he said, “Teacher, when are we going to do the next pose” because he had been practicing the same pose for 300 times, which resonated with me especially in the Ashtanga yoga world. The teacher said to him, “This is the next pose and the fact that you can’t tell the difference between how you did it before and now,” and he blew my mind because when you think about it, this is the next pose all the time and then you can somehow return to these moments rather than the ideas we have. I really like what you say, that Krishnamacharya said that the bandhas are not something we do, but a blockage to be removed. Claudia Altucher: And especially in your last book, you talk about – and I guess we need to give the audience a basic definition of what a bandha is. What would you say? Matthew Sweeney: Oh, well this is a question I often ask students because there’s a lot of teachers talking about bandha these days and I’m one of them. I just think my perspective on it, at least so far, seems to be a little different than the standard Asana view of it. And so I mean the three bandhas to me are the parallel between the three layers of the self or the three layers of the body if you want, and so that would be gross, subtle and causal. And if you’re going to look at the three bandhas purely on a physiological level, I tend to doubt the purpose of that. I tend to be a little, let’s say, skeptical whereas if we’re looking at it in terms of the gross, subtle and causal layers of who we are as a human being, then if you’re going to talk about mula bandhi, you’ve got to talk about what is the gross layer? And so okay, working on the perineal body or the cervix for women, etc. I do a lot of lectures on this and we could have probably at least a six-hour discussion on this subject alone. So just to try and put it into a small piece, then I would say the only way that I would personally recognize mula bandhi in myself or in another person is if I’m able to use the resolution of any issues you have dealing with your body. Matthew Sweeney: So it’s irrespective of any sensation you might feel or any ability you have. Jump throughs and jump backs, that’s kind of irrelevant, whereas – I’ll put it this way. My definition – my current definition of mula bandhi, here it goes. When you’re in a complete, loving relationship with your body 24/7. Claudia Altucher: That’s a great way to put it. Matthew Sweeney: And so if anything else exists for you, like an image of your body that you don’t like or if you don’t like how you did a posture or anything that’s not loving, therefore you’re not in mula bandhi yet, so you haven’t resolved your issues with your body yet. Matthew Sweeney: Okay, so what – there’s different ways to look at these different layers. If we’re looking at the lower layers mostly I would talk about the body and the sexual body dealing with the lower bandha. Matthew Sweeney: So how you are in your physical being and sexually – physically sexually. And so yeah, if you’re not resolved and in a right relationship sexually, the mula bandhi is not active no matter how much you feel those sensations up and down. That is irrelevant in the end. That’s just a sensation. They’re wonderful, interesting, but it doesn’t mean the actual reality of this blockage is unblocked. And so on with the next couple of chakra, or energy levels if you want, dealing with the solar plexus and heart, the solar plexus would be related to money. Money is like a value system. It’s a way of putting value on different things. So any kind of issues with money is relating to these middle body issue or, in fact, uddiyana bandha. Uddiyana bandha is functioning when you have a healthy relationship to money. Claudia Altucher: They will go away pretty quickly, though. It’s like a high that you get. Matthew Sweeney: Sure. The fact is, it’s energy and energy, when it’s like that, it’s how you deal with it. It’s not whether you have that energy. It’s not about how much money you have, it’s how you deal with it. Matthew Sweeney: It’s not what ___ you can do or how good looking you are, it’s just what you do with it, how you deal with it. Matthew Sweeney: And so the higher bandha then, the jalandhara bandha – the net in the stream – would be your relationship to consciousness, to thinking. Claudia Altucher: I’m sorry, that didn’t come out. I didn’t hear it. Matthew Sweeney: The higher bandha ____ and would be dealing with the relationship to your own mind, to consciousness and the relationship you have to God. Matthew Sweeney: That’s part of it. A loving relationship to your body, a loving relationship to human beings and the other beings on the planet, and the loving relationship to consciousness, to space and to – if you believe in God or not – but believing in, let’s say, a higher consciousness, so a loving relationship to that aspect of the universe. Claudia Altucher: And I think that’s a good way to say, because many people sort of – there is a tendency from, say, the unchecked mind to judge oh, that is a good yoga teacher or not, whether they can do amazing postures. But really, and I think you say this in your book, is about how kind can you be with another person is more of a reflection. Matthew Sweeney: It’s more about our relationships – our relationships that we have, that we’re offering to others, that reflect our yoga practice. Claudia Altucher: So we had a little technical difficulty there, but we’re back. I think you were talking about being kind is really the important thing. Matthew Sweeney: Yeah. Well, I mean there’s different levels of kindness because of course it has to be authentic. Matthew Sweeney: And if you can’t be kind then at least compassionate. Claudia Altucher: That’s right. Yes. Matthew Sweeney: Right? Because sometimes kindness may not always be appropriate, so we can – sometimes we have to say no or a certain amount of anger may be natural under certain circumstances, so saying no is appropriate, but yeah, if not kindness then compassion. Claudia Altucher: Right. Yes. And that comes straight from the yoga sutras, by the way. And it’s true, sometimes you can’t be kind because when someone is really mean to you that’s very, very difficult. Matthew Sweeney: Right. And it may not be appropriate because if someone is being, I don’t know, an extreme situation – violence or abusive – then being kind in a certain way may not be appropriate because it’s as though you’re giving that person permission to be more abusive. Matthew Sweeney: So a strong no may be the answer, but then of course you practice compassion instead, so this poor person is being misguided. And so that’s not altogether uncommon in most of our experience. Claudia Altucher: That’s nice. And you have a daughter, Matthew? Matthew Sweeney: Yes. My daughter just turned 16. Claudia Altucher: Really? Oh, goodness. Matthew Sweeney: Yes. Oh, she’s a lovely 16-year-old. She’s almost six foot tall and quite the teenager. Claudia Altucher: Does she think you’re cool or are you totally uncool now? Matthew Sweeney: Yeah, no, I think I passed out of being cool about three years ago. I’m not uncool because I go to very cool places for travel, so that part of my life is really cool. But some of the things I talk about are very uncool. Matthew Sweeney: I’m not very up to date with modern music. I do like some of it, but yeah – yes, I’m not really cool that way either. Claudia Altucher: I have a 15 year old step daughter, so I think we’re going through the same thing. It’s a very interesting age for the kids. Does she do yoga? Matthew Sweeney: No. She’s into surfing, in fact, so she’s actually come here to do schooling here at the international school called the Green School, and so yeah in our spare time we’re doing our best to get her down and do surfing all the time. Claudia Altucher: That’s good. Surfing is – I hear there’s a lot of connection between surfing and yoga. Maybe later on in life, who knows? Who knows what may happen? Matthew Sweeney: No, for sure. Claudia Altucher: So Matthew, you know I remember my first trip to Mysore was 2008. Yours was 1994. So we’re in Mysore and I’m with my friend Martina. There is an electricity cut, of course, so we’re by candlelight and we have your book Ashtanga Yoga As It Is, and with the candle we’re looking at each of the poses. I think we got to Marychyasana H or one of those where you’re in a twist and at the same time you have a leg behind your head. We were looking at it together and we go, “No, that’s impossible. There is no way.” And that happened for hours. We would be sort of be hypnotized by your book. This book, did it come organically by you? Did you just sort of made this first and then you wrote some more about it or did you plan it? Matthew Sweeney: I’m not much of a preplanner with that kind of thing, but I guess the inspiration was actually sparked by Dharma Mittra’s poster. I don’t know if you’ve seen that, the one with a thousand asanas all in a row. 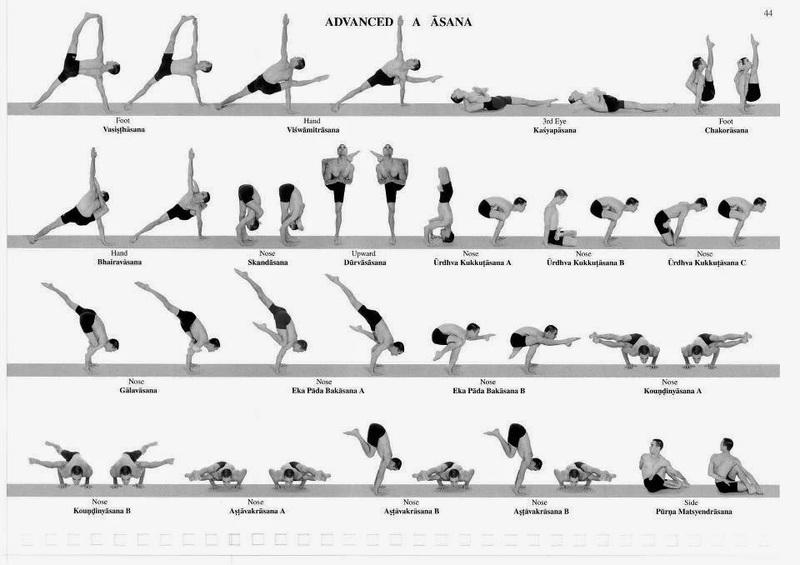 So I originally thought it would be really good to see the primary series as a poster so you see everything in a row with all the vinyasa and postures, so it’s all on one piece. So once I designed the poster I took a bunch of photos, etc., with a friend photographer. So then I thought it’s also nice as a booklet because not everyone can put a poster on a wall somewhere, so I did it as a booklet. And some years after that students were telling me, why don’t you put some of the things that you teach in classes into the book, some of the dialogues and ___ that I used to do. At the time I was still quite young and a bit shy about that, but over time I thought oh, well, I guess I’ve got something to offer there and yeah, the book slowly came out. But the original idea was just pictures. I thought that can’t offend too many people because it’s just pictures of postures. Claudia Altucher: Yeah, you have to be careful what you put out there. But it’s very interesting that you have sort of like all the transitions within the primary series for any Ashtanga student, so you can see it’s a great book really. How you do the backbends and the drop backs at the end and all of the series and the transitions, it’s a really good book and I’ve seen it everywhere, so I would say it’s possibly a bestseller. You can now even download it from your site, which is really good. Claudia Altucher: No, I know. That’s interesting, yeah. I guess people love it so much they can’t help it sometimes. Matthew Sweeney: Yeah. That’s all right. These things happen. Matthew Sweeney: It seems that way, yeah. Claudia Altucher: If I wanted to attend your teacher training you have this thing about getting to know the student first. So what was the thinking behind that? Matthew Sweeney: Okay, well this is my big beef on most modern teacher training and it comes in two parts. The main – the first part is I would consider – I have nothing personally against other teacher training, but my issues is that most hip teachers, if they’re going to run teacher training for Asana teacher training let’s call it, you should get to know the teacher first. And if you don’t get to know the student first it’s not – I wouldn’t think it’s particularly – I don’t know if I can call it unethical, but let’s say not very smart. So whereas if I do get t know a student first – and there’s some students who ask and I say I think you need to practice for a couple more years. In fact most of the students who are asking me actually I tend to get along well with, but occasionally I meet someone who wants to do it and I’m look, we’re not going to gel. So I won’t do it if there’s a deep personality clash. Matthew Sweeney: That’s part of my gestalt training, too, I guess in that it’s not that I dismiss someone who I have issues with or who I struggle to teach, but if I feel fundamentally we don’t have a good connection then there’s no point in doing teacher training. Claudia Altucher: Right. Right. And so you have, for example, you get to know someone that they come to a one month period of just practice? Matthew Sweeney: Yeah, so these are my main courses I run around – well not even around the world any more. Mostly I’m just doing them from Bali and India. So I run these one-month courses. People come as students and they learn both Ashtanga and some of the other alternative sequencing that I teach. And through that process, as they’re learning the different sequences, then naturally some students want to do the teacher training and so they fit in either on year or the year after. During that time they practice, they email me and so there’s an ongoing relationship. So I insist on people, if they don’t know how, but learning how to communicate both by email, by phone and in person. And so this is a part of the training process for any good teacher is not all of us – certainly I wasn’t – a naturally good communicator. Matthew Sweeney: And so it’s a process of learning how do I go about communicating, particularly with students who may be a bit difficult. Claudia Altucher: Mm-hmm. That’s a very important point. Matthew Sweeney: So I want my students to actually communicate with me. Claudia Altucher: Right. And when someone comes to one of your, say, one-month intensive, it doesn’t have to necessarily be Ashtanga yoga that they’re practicing, right? Matthew Sweeney: No, though it is a basis. And usually for most students it’s at least 50 percent of it, but for some students it’s less and for some students it’s a bit more. It just depends on what students want to learn, but also what their body is capable and willing [Chuckles]. So for me it’s, again, just a practical thing in terms of what sequencing seems to be appropriate, how old someone is, what they’re going through, what their current state of health is. Matthew Sweeney: And so then some students will be learning more moon sequences, another of my personal sequences, or even within the primary series it’s like jumps aren’t quite appropriate because someone’s got a shoulder injury. So we implement other vinyasa without missing the primary series too much so they can still keep up steady practice. Claudia Altucher: Right. The moon sequence is something you developed personally and it’s more of a – I mean the Ashtanga yoga primary series, which is how many of us got introduced to practicing every day and building the ritual and all of that – it’s very intense. It’s a lot of let’s get – let’s do this. You have to really breathe deeply and get in the mood and then do it. Claudia Altucher: So I’ve recently been exposed to the moon sequence for the first time and I’m actually very glad to have an alternative that’s – what would you say is the effect of the moon sequence? Matthew Sweeney: Well, it crosses the fence between what’s called the Yin yoga practice to something that is more passive and not exertive and about releasing in postures rather than activating. And so the moon sequence heads more in that direction towards, even though we’re doing vinyasa, which is a little bit active, but heading towards not over-efforting, not trying so hard, not being so rajasic. And despite at an advanced level, some advanced practitioners can start to integrate a more sattvic practice. The tendency is in 99 percent of Ashtanga practitioners, the tendency towards a more rajasic style during the practice. And the only time the sattvic element comes into play is during Shavasana. Matthew Sweeney: That’s not entirely true. There are certain elements in like the breathing at the end or headstand, etc., but still the majority of the physical vinyasa is rajasic. Claudia Altucher: And by rajasic you mean? Matthew Sweeney: Your fiery, more outward, more physical-based energy. Matthew Sweeney: That’s not to say that rajasic energy is wrong. It’s just that there’s a tendency for that in the Ashtanga practice. This is partly the reason why Yin yoga came into being is to make some attempt to balance that. Claudia Altucher: And wouldn’t you say in the world in general we’re a little bit rajasic or like go get it? Matthew Sweeney: No, I don’t know – yeah, there is that tendency, but there is an alternative tendency. People are rajasic and then they come home and they watch TV and are very tamasic. So the more rajasic you are, there’s got to me a tamasic element somewhere that’s counterbalancing it. The problem is we flip between those two without trying to find some integration of the two. Does that make sense? Claudia Altucher: Yes, it makes sense. So for example integrating a more receptive and releasing routine to the practice would have a very – a good balancing effect. Matthew Sweeney: Right, but the other effect of the moon sequence that’s critical is the fact is even within the Ashtanga communities, around 80 percent of practitioners are women and the reference point of mula bandha tends to be taught from the masculine point of view – the perineal body rather than the cervix. Men don’t have a cervix, women do, etc. And the element of the practice which is more upper body focused, so it tends to be more masculine in its energy. Thus, a lot of advanced female practitioners start looking a little bit masculine. Matthew Sweeney: And it’s an issue, including things like developing – if you’re skinnier it’s easier to a lot of the practice. So there’s a lot of psychological conditions that Ashtanga tends to make if not better, at least they – well, it can make some of these conditions worse, let’s be honest. Claudia Altucher: Right, right. And I think it’s important for me as a female practitioner, it was hard to let go of this idea that I want to get to fourth series. Claudia Altucher: I had that going for a long time and eventually realized that – I mean I’m 46 now, so I realized some postures will never happen for me and to be okay with that. Matthew Sweeney: Right. That’s good whether you practice Ashtanga or not. I think that’s just a healthy part of the process, to realize some of this won’t be accessible for me. Then it’s just a matter of seeing how much of the practice is working for me and is this some part of it that’s not. Matthew Sweeney: And often enough the answer is over time oh, some of it doesn’t work for me. Claudia Altucher: Yes, and that’s what I love about your teachings is that you say we do have a tradition. We do have – there is sort of a suggested guideline, but it all comes down to what’s happening here and now as we step on the mat today. Matthew Sweeney: Right. So to insist on a student, okay it’s devotional to do the primary series how it’s set, etc., but the question is well, if that’s not practically useful then the devotion starts falling out of the window when someone’s in chronic pain and being pushed into a sequence that in the end simply physically doesn’t suit them. Matthew Sweeney: It doesn’t matter how devotional we pretend to be in that place, it starts to be violent. And so some compassion needs to be there. Like anyone with an injury, no sane teacher after – I’ve seen this happen, so it’s a sad story – but a student getting pushed into Marychyasana D, one meniscus pops, slowly it starts to heal a little though it doesn’t get better, just manageable. And then it continues to get pushed in Marychyasana D and then the other meniscus pops. Claudia Altucher: Yes, and Marychyasana D is a very complicated posture by which one leg is in half lotus and then you’re twisting. Matthew Sweeney: Yeah, so the student is also working on opening their hips, so the inevitable happens. And this is not an isolated situation in the Ashtanga community. The problem is, with a lot of those students who have been injured, you never hear about them again because they stop practicing. Claudia Altucher: And that’s sad. Matthew Sweeney: Yeah, very sad. Claudia Altucher: Yes. Yeah. So yes, bringing it back to this moment, that’s the important thing. Like if there is a takeaway for anyone who’s listening, including myself, is to remember to respect the body where it at today and to work with what we have, so that it’s real yoga. Matthew Sweeney: Exactly. And that’s both the teachers’ and the students’ responsibility to be okay, for the teacher look at the student, what’s happening to the student now? Not what should be happening, because that’s the teacher’s desire for the student to get better, which is a mistake right from beginning and end. It’s just a terrible thing that teachers get into. I made this mistake myself and I probably will make it again. It’s the desire to see the student improve and that desire is false. It’s something to be gotten rid of. Whereas looking at the student and going ah, this is where they’re at now and if there’s tears streaming down their face you might want to address that. Matthew Sweeney: Or if there’s frowning or grunting or harsh breathing it’s oh, what’s happening now? And so then we can address moment-by-moment what’s appropriate. Claudia Altucher: That’s right. Yes. Moving on to the breathing part of yoga, the fourth limb of yoga or Pranayama, how did that come to you? When did it come to you? Did you study with a teacher or how did that happen for you? Matthew Sweeney: I’ve done some Pranayama with Pattabhi Jois. I’ve done Parayama with a few other teachers, my Iyengar teacher and a couple of others, Clive Sheridan. So strangely enough I’ve – let’s say for the first 10 years or more that I was practicing I was more interested in Asana and then from there more interested in meditation, so Pranayama took a bit of a backseat to both of those. I do my Pranayama within the practice, but not so much outside of it. But in the last, I guess, five or six years I’ve been doing a little more Pranayama practice independently and I guess a lot of the stuff I’ve learned from these teachers just started to formulate into its own system. So yeah, now I’ve just in the last couple of years started to teach a Pranayama system that I find is complimentary with the sequencing of Asana that I’m teaching. And so yeah, it’s basically a sequence of Pranayama and so it seems to work. It’s practice. I like it. Not everyone wants to do it, so I don’t teach it to everyone. Matthew Sweeney: Sorry. Go on, go on. Claudia Altucher: Is this what you talk in the Vinyasa Krama book? Matthew Sweeney: Yeah. I mean I’ve – for me, currently I guess, some of the material in that is a little out of date, but I’m not planning to produce more – I guess more books on this subject simply because I’d rather teach Pranayama in person. People keep coming to me, I teach the sequencing, but yeah, I’m not really interested putting, I guess, too much of that in a book. So the stuff I’ve got in Vinyasa Krama I still teach, but some of it is the little ______. Claudia Altucher: I see. I see. And I like the idea of doing it more in person because it’s so intricate and sort of like – it’s like refining the musicians’ training, you could say, if you were to make it parallel to music. It’s very individual, I guess, the deeper you get. Matthew Sweeney: Right. I just think a lot of it, to me, is if a student is really interested to learn the Pranayama I’ll teach it. And if they continue to practice it then I’ll continue to teach the next part, much like Asana. So I’m not gonna start teaching all of the variations on Nadi Shodhana Pranayama if the student isn’t continuing to practice the five stages, just as you don’t get to do much intermediate unless you do primary for awhile. Same kind of thing. Matthew Sweeney: I’m just not interested to ______. That’s okay. It doesn’t bother me. And some people start Pranayama very early, whereas for me I didn’t really – I mean I’ve been practicing it consistently for years, but I didn’t really make an emphasis on it, really, in my teaching of Pranayama until recently. So that’s just how I’ve approached it. Other teachers, I think – I was going to say I’m a big fan of meditation so I’m often telling students if you’re going to pick, I suggest meditate. But for some students that’s hard and so you can use Pranayamas as a way to begin a meditation practice because it’s a bit easier to focus on Pranayama than just to meditate, for some people anyway. Claudia Altucher: Right. I’ve been disliking that word meditation recently because of how many – sort of how much misunderstanding goes into it. How do you understand meditation, then? Matthew Sweeney: Yeah. Well, any moment and every moment is meditation, at least potentially. But in terms of the practice for me, it’s usually based on a silent sitting practice. So it’s just being still sitting and there is maybe a variation of techniques you can do in that or just sit and observe each moment, which is not really a technique, it’s just a matter of experiencing moment by moment. Claudia Altucher: I really like that. I actually prefer to – lately I prefer to call meditation just sitting in silence, which I’m glad to hear you’re saying that too, because it keeps it real. It’s about observing what’s happening and the loops that the mind can get you in and so on and so forth. Matthew Sweeney; The technique, or if there is a technique, is usually just to practice a way to either look at the mind or look at where the issues are rising and so that very looking with a technique has both a positive and negative side to it, as I said. Because the technique – any technique – in the end is a potential blockage to reality. Claudia Altucher: Right. And it’s not easy to see reality as it is. Matthew Sweeney: Right. So that’s why we keep going back to the technique. Claudia Altucher: Yeah, and that’s why it’s a practice, too. We attempt it every day consciously in yoga. Matthew Sweeney: Right. So, you know, I think the point is to practice the technique and then let go of it. And then practice either the same technique or another technique and then let go of it. Matthew Sweeney: And the issues that come up are typically practicing a technique and then hanging onto it. Claudia Altucher: Does observing what comes up, let it go – I think Pema Chödrön puts it, “Letting go of the thinking,” she says. And just staying with the feeling, but letting go of the words that go around the story lines. Matthew Sweeney: Yeah. That’s what I call feeling consciousness rather than thinking consciousness. Claudia Altucher: That’s a nice way to put it, yes – feeling consciousness. What are you feeling is at the root of it. I like that. Matthew Sweeney: It’s just – this is like feeling consciousness can head was towards what I would call observer consciousness. Matthew Sweeney: Just the observance of space, the emptiness of that kind of consciousness – emptiness or spaciousness. Claudia Altucher: Yes. We’re going deep here. Matthew Sweeney: Anyway, yes. What were you going to ask? Claudia Altucher: I like how you say when you’re talking about your teacher trainings that you don’t register or certify anyone with the Yoga Alliance, but rather you certify it by your own consciousness, you say. I like that very much because there is this mythology out there that people are certified by the Yoga Alliance and that means something. But you take it really deep into our own moral compass and whether you’re going to be a teacher or not depends on your own sort of participation and how ready you feel for it. Matthew Sweeney: Yeah. Well you know, in the end the only thing that you need to start teaching yoga is just to start teaching yoga. Matthew Sweeney: Or let’s say Asana. You know, all you have to do is start teaching Asana. You don’t need a certificate for that, but the certificate can give you a bit of confidence and maybe a few skills, hopefully, if you’ve done a training course. But most of the time as a teacher, the only way you’ll learn to be a good teacher is by teaching a lot. Claudia Altucher: Yeah, and it takes a lot of energy. I recently started teaching regularly and I cannot believe how much energy it takes to verbalize what has to happen in another body. Claudia Altucher: It’s a huge amount of energy. Matthew Sweeney: Yeah, well you know, as time goes on you get to refine that. Claudia Altucher: I hope so, because at the moment I sweat tons just in teaching a class. I hope it will get easier. Matthew Sweeney: It usually does, but that’s part of the learning process. It’s like going back to learning the beginning of your Asana sequence. It’s like yeah, it’s often a big of a struggle at the beginning. It doesn’t have to be, but it has elements of struggle to it. Claudia Altucher: Right, until you find your footing, I suppose. Matthew Sweeney: Yeah, just finding a natural way. Claudia Altucher: Yes. Yes. I want to ask you one question that I find very revealing. This is a little bit deep, so here it comes. Claudia Altucher: In your own yoga path that has been pretty long, what would you say is one thing that took you a very long time to finally understand? Matthew Sweeney: I think there’s a lot of things I can answer to that. [Laughs] I guess the one that comes to mind is this one, and this is one I’m still working on, so I don’t say that I’ve mastered this. People are more important than the practice. Claudia Altucher: People in this moment and what is happening right here and right now. Matthew Sweeney: So at the end of your life when you look back, what you’ll remember are the people that you spent time with. My experience of talking and reading about people with near-death experiences, they don’t worry about what Asana practice they did or how many years they meditated. That might have helped them in that moment of the past, but mostly what people talk about is people – the friends, the lovers, the children. Claudia Altucher: Yes. The experiences. Matthew Sweeney: Who you shared your life with. Claudia Altucher: I like that. Very nice. Very nice. Yes, it’s about the people. Claudia Altucher: And to put it another way, how you shared your life. So if you spent most of your life obsessing about your practice, which is by and large you’re doing that on your own, it’s a bit of an isolated existence. Claudia Altucher: And pointless, too. Matthew Sweeney: That’s not worthwhile because we need time for that to be connected with ourselves, connected with our body, just as time and meditation can be connected to consciousness. This is important, but it’s only important next to how that goes into relationship with others. Claudia Altucher: I think that’s very nice and that’s one thing that anyone listening can take with them; what are my relationships today? What’s happening today? What am I – who do I cherish in my life? How can I help? How can I be kind? It’s a very sweet way of looking at life. Matthew, you are about to release three new DVD’s? Matthew Sweeney: Well two, in fact, but yes, the Ashtanga DVD’s, the primary series and the intermediate series. There’s another one that I may or may not release, I’m not sure about that yet, which will be the lion sequence. It’s the second of my sequences in the book Vinyasa Krama. Claudia Altucher: And that – the lion sequence is the more active sequence? Matthew Sweeney: Yeah. It’s sort of – I guess the sequence lies partway between the moon sequence, primary and the intermediate series. It’s got a lot of stuff in it that Ashtanga just doesn’t have, so it’s become one of my most cherished sequences because it works the body in a – it’s not as vigorous, in a way, as Ashtanga is, but it’s still quite a powerful sequence. Claudia Altucher: And that’s one that your students don’t get to learn in teacher training until the second level of teacher training. Matthew Sweeney: Teacher training is a little different. The students who come and do at least one or two courses with me, usually on the second course they’ll start learning this sequence. It just depends on – some students learn it on the first course. It just depends on their prior practice. Claudia Altucher: I see. I see. So where can people find you if they’re interested in coming to your beautiful place there in Bali on the rice fields? Amazing. Matthew Sweeney: Yes, it is lovely. Our retreat center here in Ubud, in ____ Road in Penestanan. I do courses here two to three months a year and now I’m mostly doing courses in India. I’m doing two months of courses in Rishikesh in India in February and March in 2016. And so we’re looking into actually building a little property there for a nice retreat center also. Claudia Altucher: Wow. Very nice. Matthew Sweeney: I’ve got enough Indian students, so they’re quite happy about that. Claudia Altucher: That’s nice. Yeah, I bet they are. Rishikesh is a very spiritual place. That’s where Sivananda was, I believe? Matthew Sweeney: Yes. It’s on the Ganges – the Mother Ganges – so it’s a very beautiful place. Yeah, lots of yoga and lots of satsang with various gurus and workshops and teachers that come there. So students who come to the courses can also, before or after, go and do other things with other teachers, which is quite nice. Claudia Altucher: Yeah, and make a pilgrim or something. On the web you are yogatemple.com, right? Matthew Sweeney: That’s right, yes. Claudia Altucher: That’s wonderful. So in general, 2015 is that you’re releasing these two new DVD’s on the primary and the intermediate series. Matthew Sweeney: Yes, I hope to. Actually I need to change the dates of that. They keep getting pushed back. But yes, hopefully they’ll be finished and ready for download in let’s say in the first half of next year. By the latest it should be June. Claudia Altucher: That’s how we work, isn’t it? Matthew Sweeney: They might be ready by February or March. Claudia Altucher: Okay, so these will release around the end of January so people can probably start to check yogatemple.com and see whether – see where you’re at. Matthew Sweeney: Thank you, Claudia. Claudia Altucher: Yes, very soon. Matthew Sweeney: Okay, thanks again. Bye. Om shanti.